The third day of the AIBA Women’s World boxing Championships saw 54 bouts taking the rings for some exciting boxing action. The volume inside the KD Jadhav Indoor Stadium rose at the entrance of the Indian boxers, bringing the heat inside the venue to its highest, and the crowd was able to enjoy world-class boxers all along the day, including defending champion Alessia Mesiano (ITA – Feather 57kg) and Olympic medalist Ingrit Valencia (COL – Fly 51kg). Colombia’s Day 3 was flawless. It started with Fly (51kg) Rio 2016 Olympic Games bronze medalist Ingrit Valencia’s first bout of the competition against Australian Viviana Ruiz. The Colombian produces a steady performance to secure her first win, proving that she is strong medal contender here in Delhi. Her victory was followed by Marcela Arias Castenada, who surprised one of the best Feather (57 kg) boxers in the World, Philippines’ Nesthy Petecio, after delivering a sensational bout. Danish veteran Yvonne Baek Rasmussen is an inspiration for new generation of boxers. 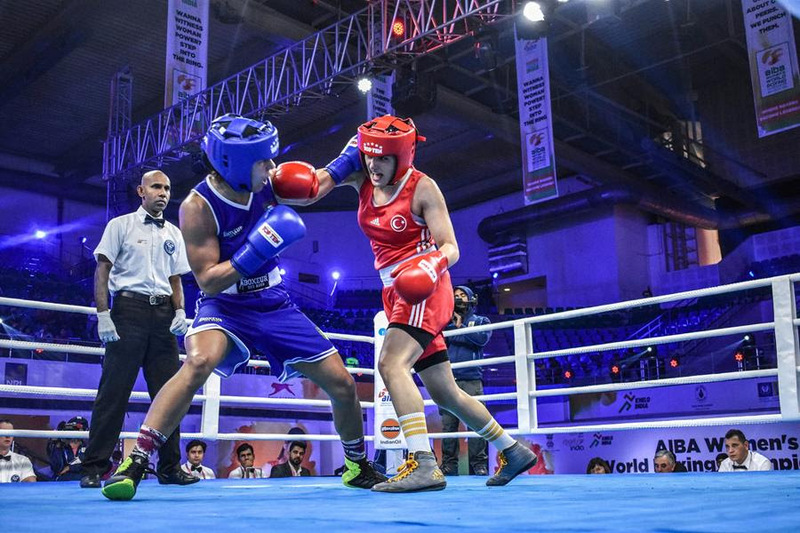 The talented Welter (64kg) boxer entered the ring of Delhi’s KD Jadhav Indoor Stadium and dominated her bout against New Zealand’s Cara Wharerau. After a 6-year break in the middle of her career to raise her two kids, Denmark’s hope proved she is back to business and a one to follow during the championships. Featherweight (57kg) bout between Australia’s Skye Nicolson and New Zealand’s Amy Andrew, was one not to miss in New Delhi today. Experienced 2018 Gold Coast Commonwealth winner earned a hard-fought victory against Andrew. The kiwi boxer is a newcomer on the big stage, as she started boxing not long ago after switching her journalism career for the boxing gloves. Both women showcased Oceania’s great boxing talents, but it was Nicolson the one who saw her hand raised earning the ticket to the next round of the event.